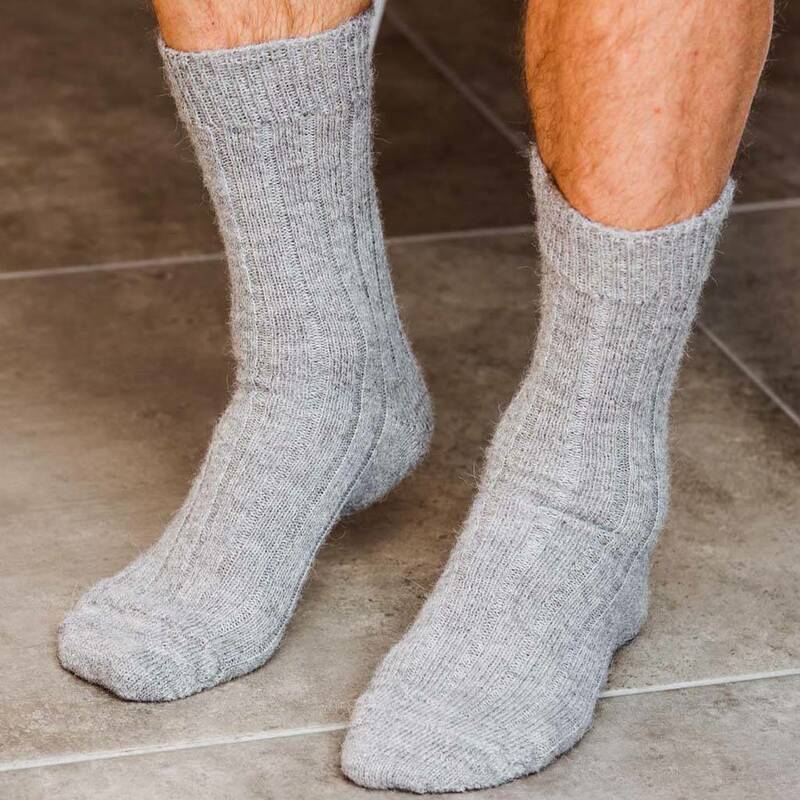 British Boxers men's grey alpaca bed socks are luxuriously soft and are made in England. British Boxers women's socks are the perfect gift for someone special in your life. Not only are they of the very highest quality and made from the finest merino wool, with nylon for added strength but they are made in Leicester by Pantherella who have been producing the finest British socks since 1937. There's no other way of putting it - these bed socks are divine. Made in England using traditional methods used for over 100 years and knitted with the softest alpaca wool, these exquisitely cosy socks are the perfect accompaniment to our brushed cotton nightwear when you need to keep out the chill. They make the perfect gift too. Available in Medium (8-10) and Large (11-13). Alpaca wool (90%) strengthened with nylon (10%) for durability. All of our socks are fully machine washable.